Imagine your city without cars — every single Sunday. At first, you might be frustrated by the inconvenience and inability to complete errands, but once you embrace the throngs of bikes, recognize your friends and neighbors among the people out for a stroll or attend a Zumba class at what was once a congested intersection, it’s likely to become one of your favorite traditions. 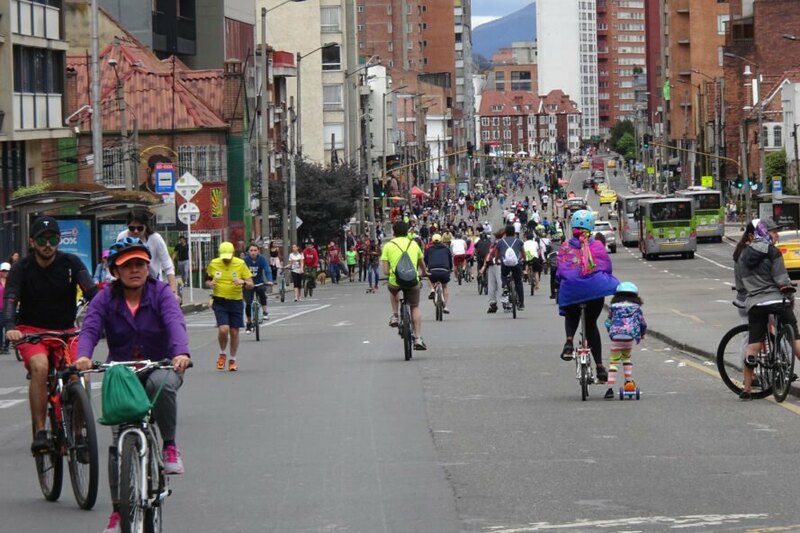 For 45 years, the Colombian city of Bogotá has closed its major roads for Ciclovía, a weekly event where cyclists and pedestrians reclaim the street. Vox calls the weekly event “the world’s most successful mass recreation event,” and more than 400 cities around the world look to Bogotá as a model for replication. In Spanish, Ciclovía means “Bicycle Way,” but the roads are open to bikes, roller skates, scooters, wheel chairs, skateboards, runners, walkers and all other types of physical activity, recreation and relaxation. Since its launch in 1974, the event has expanded to include juice bars, fruit stands and exercise classes at various stops along the now 76 miles of designated roadway. Ciclovía occurs from 7 a.m. to 2 p.m. every single Sunday and on major holidays, a frequency that sets it apart from similar events in other cities and is credited for its long-term success. Pulling off such a large-scale event is no easy feat in Bogotá, a major Latin American city that normally moves 1.5 million cars, 50,000 taxis and 500,000 motorcycles on any given day. 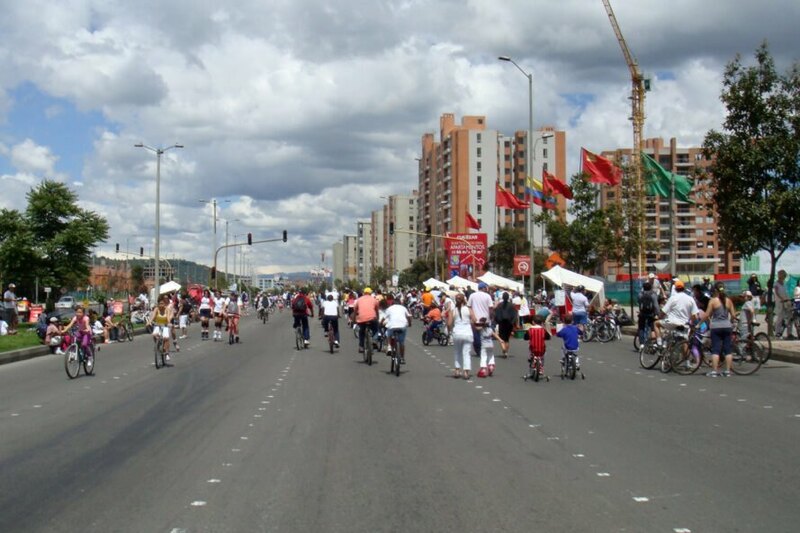 “The Ciclovía is the moment when motor vehicles make way for human beings,” a director for the event, Bibiana Sarmiento, told National Geographic. In fact, nearly 1.5 million Bogotanos take over the public space every Sunday, which is approximately a quarter of the city’s entire population. Statistics show that the average participant is out there for about three hours, which has significantly helped residents reach widely recommended levels of physical activity. Bogotanos, like most city-dwellers, face limited space for recreational activities and soaring rates of chronic diseases linked to sedentary lifestyles. Although Ciclovía is only once a week, the city-wide emphasis on physical activity and community access to exercise classes and bike routes has caused a marked difference in health indicators. 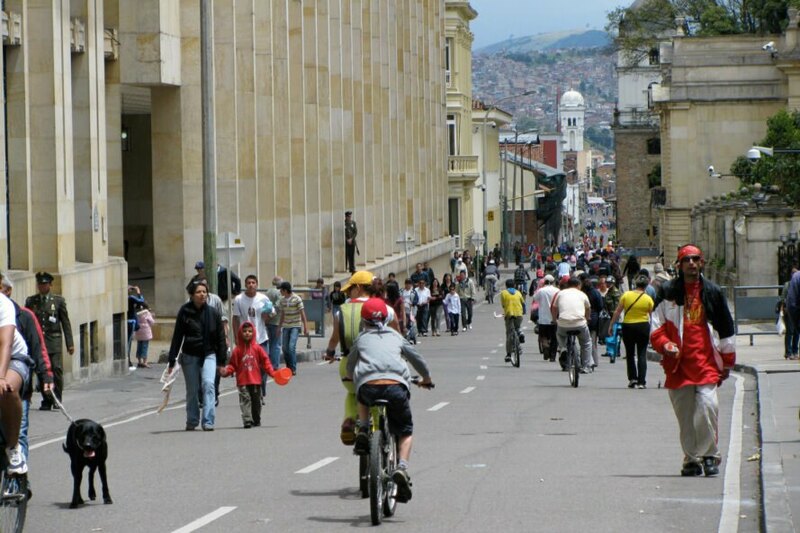 In addition to improved air quality and a palpable decrease in stress and aggressive behaviors, the city of Bogotá is also attempting to analyze specific public health benefits. Program analysts studied savings on medical costs and found that Ciclovía saves between $3.20 and $4.30 in direct medical costs per every dollar invested, which is approximately $6 per participant. General analyses also indicate that public health benefits are more profound and long-term when such recreational events are reoccurring, something that sets Ciclovía apart from other cities with similar programs. To date, more than 400 cities worldwide have implemented similar mass recreation and street closure events, including 122 U.S. cities. A major roadblock (pun intended) to hosting such events is the logistical nightmare of acquiring permits for road closures and the cost of paying traffic staff. In addition to onerous permitting procedures, planners cite overtime for police officers as one of the largest and prohibitive expenditures. As part of the success, Ciclovía and a similar event in LA (called CicLAvía) utilize volunteers for traffic assistance. The city also pays for the program through sponsorships and a tax on phone bills, made possible because the program is so longstanding and beloved by all types of people that it is an accepted part of Bogotano culture and government spending. 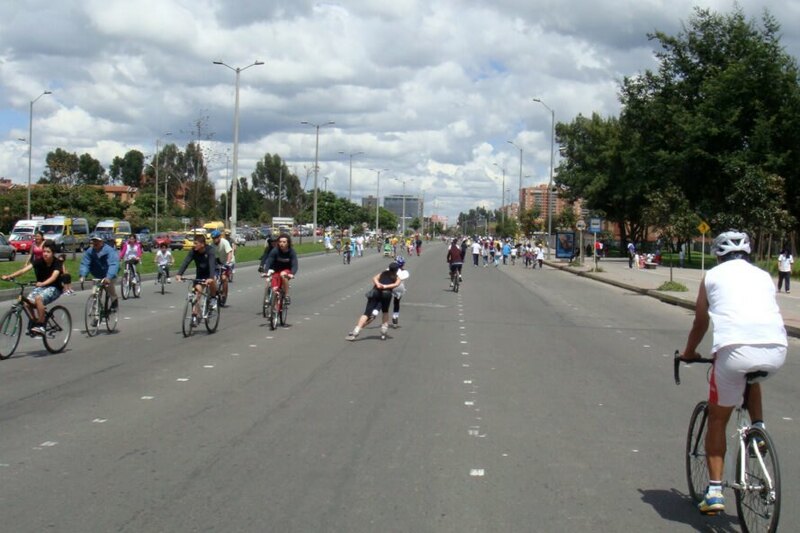 Ciclovía is a long-standing tradition in Bogotá, Colombia. The event opens 76 miles of roadways to people with bikes, rollerskates, wheel chairs, skateboards or just the sneakers on their feet. The event takes place every Sunday from 7 a.m. to 2 p.m. The logistics can be tricky, but with consistency, they can be easily solved and cost less over time. The event helps people reach widely recommended physical activity goals each week. Ciclovía also brings communities together.